Do you represent a Tennessee State Government Agency and wondering how you should archive all your web and social media content? Are you trying to determine what you need to do both from a legal and a technical point of view? Here’s a guide to the different Laws and processes you should follow. What Laws govern Records Management in the State of Tennessee? Tennessee Public Records Act, 1957 (T.C.A. § 10-7-501 et seq.) and Tennessee Open Meetings Act, 1974 (T.C.A. § 8-44-101 et seq.) 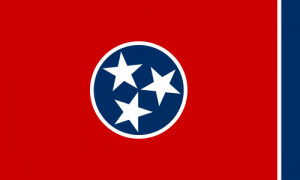 govern open records law in the state of Tennessee covering state, county and municipal records. Do Tennesse State Records Laws include Website and Social Media content? Tennessee legislation states “public/state record or records” include all documents, papers, letters, maps, books, photographs, microfilms, electronic data processing files and output, films, sound recordings, or other material, regardless of physical form or characteristics made or received pursuant to law or ordinance or in connection with the transaction of official business by any governmental agency. Definitions of records in both the Public Records And and Open Meetings Act are substantially similar (T.C.A. § 10-7-503(a)(1), T.C.A. § 10-7-301(6)), whilst other records are examined with consideration to the totality of the circumstances (regardless of physical form). All forms of work (electronic and written) are subject to this legislation. The Tennessee Attorney General posted guidance on social media compliance “Application of Tennessee Public Records Act to Municipal Social Media Accounts” stating that “To the extent a municipal social media account is made “pursuant to law or ordinance or in connection with the transaction of official business,” that account and any comments posted on the account constitute public records subject to inspection under the Tennessee Public Records Act.”. Read the full guidance here. The Act grants full access to the public of all records “unless otherwise provided by state law.” T.C.A. § 10-7-503(a). Therefore, no Tennessee agencies are entirely exempted from the mandate of the Act. In this 1998 case, Tennessee Supreme Court reviewed a concern regarding electronic records and associated fees involved in production.The court ruled that electronic records possessed by a government are, like paper records, subject to the state’s public records law. Nashville morning paper, The Tennessean, requested production of the personal information of customers from the local public electricity provider, Nashville Electric Service. They specifically asked for the provision of records in an electronic format. NES refused the request, and so the newspaper brought an action under the state public records law; claiming that the data (stored in a computer database) were public records. NES argued that as it was not stored in the exact format requested by the newspaper, there was no need to comply with their demands. The state Supreme Court found that NES had to provide the newspaper with the format of records it sought. Each county, city, and town should have a public records resolution or system consistent with public records provisions of the Tennessee Code. “A well-run archives and records management system is an economical, taxsaving service that builds public confidence in government and in government officials.” (William W. Moss Former Assistant State Archivist Tennessee State Library and Archives). All principal forms of public records should be stored and evaluated for their worth as evidence for future reference – and assigned a retention and disposition schedule (RDS). The Act has no provision for allowing the requester to choose a format in which to receive records, but the Supreme Court has held that if there is information that is stored on computer but not in the format desired by the requester, the agency is required to provide the information in the format requested (see Tennessean v. Electric Power Board of Nashville). In Wells v. Warton, 2005, the court found that the custodian of the records can chose the form so long as it does not alter the information or restrict access. How can we transfer website archives made with PageFreezer to the Tennessee State Digital Archives? PageFreezer exports all data on request in the original file format including the required metadata. This data set can be transferred by FTP or by other means to the Tennessee State or Agency Digital Archives.